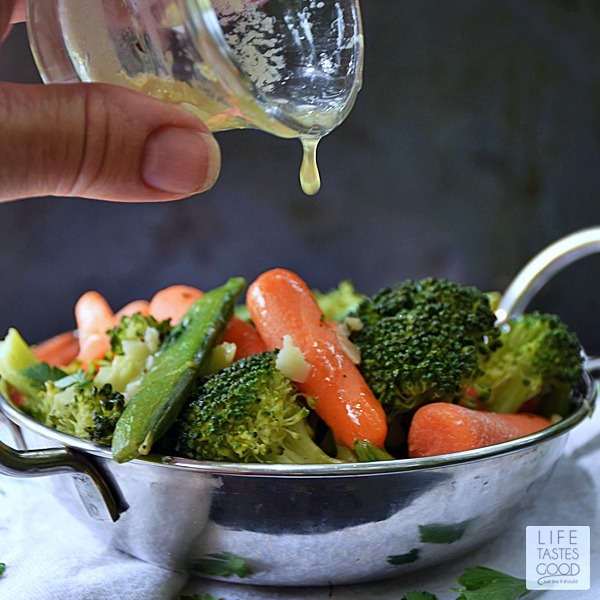 Fresh vegetables steamed to perfection and drizzled in a garlic butter sauce is an easy to make side dish, but I find myself snacking on these steamed veggies all the time! Have you ever had the steamed vegetables at Outback Steakhouse? We love those veggies! They are fresh and buttery delish! Years ago we used to eat out a lot more than we do now. Now we do our best to never go out to eat. We just love to eat at home. It's cheaper, fresher, and we like knowing what's in our food and who had their hands on it. After having the steamed veggies at Outback Steakhouse all those years ago, I was inspired to make them at home. I even asked how they made them, and the manager was kind enough to share their technique with me. It had something to do with a bag and steaming them in the microwave. I tried it but it didn't work for me, and I don't like the idea of microwaving the veggies, so I ditched that idea and steamed my vegetables the old fashioned way... using my saucepan and steamer basket. Add about 2 inches of water in a saucepan. 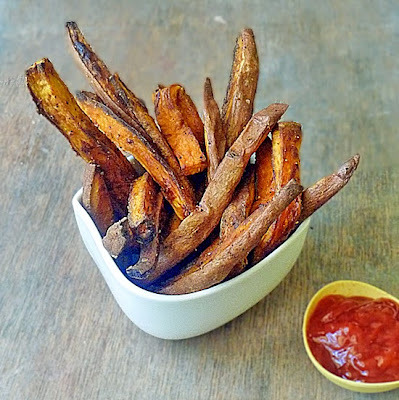 Bring water to simmer over medium heat. Wash vegetables and place in steamer basket. Place steamer basket over saucepan and cover. Steam the vegetables for about 8 minutes or until they are done to your liking. 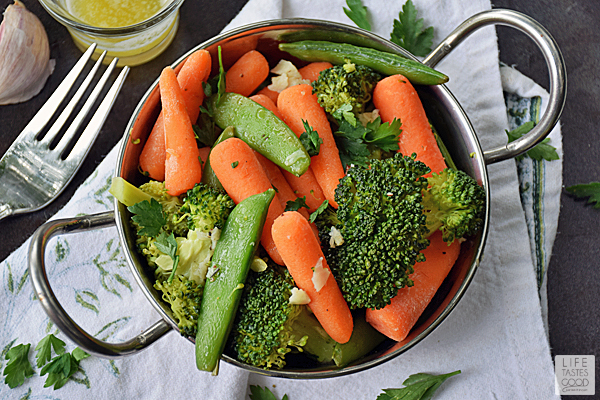 Remove steamed vegetables to a serving bowl and season to your liking. How do I make Steamed Vegetables Taste Good? 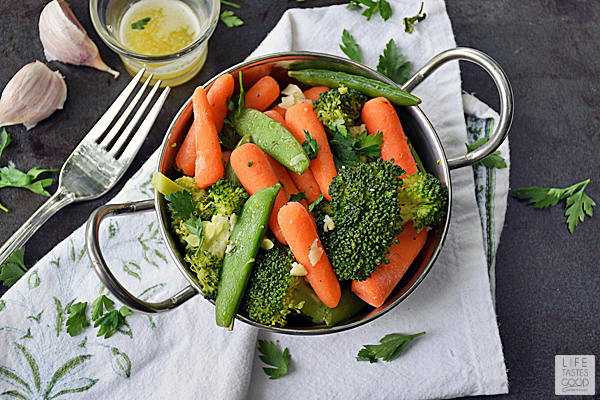 Like any other food, steamed vegetables without seasoning will taste bland. It's important to season the steamed vegetables with salt and pepper. Seasoning steamed veggies is easy enough. Another way to season steamed vegetables is to add the salt and pepper to a quick and simple sauce and pour it on the veggies. My favorite is a garlic butter sauce like I used in this recipe. 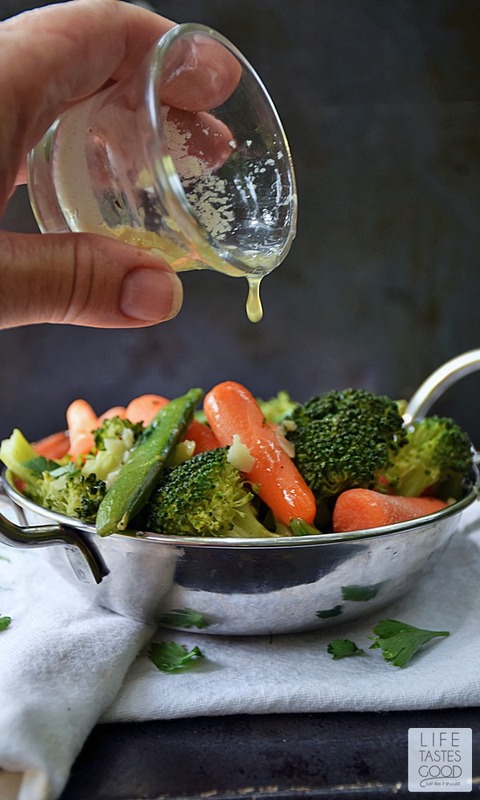 Using the saucepan and steamer basket is handy too, because once the veggies are steamed, I pour out any water left in the saucepan and use that same pan to melt the butter and saute the garlic to make a garlic butter sauce perfect for drizzling on the steamed vegetables. Less mess! I love it! And I HAVE to have garlic butter to drizzle all over these beautiful steamed vegetables! The steamer equipment I use to steam my vegetables came with mycookware set. If you don't have a steamer and saucepan that fit together, no worries! You can pick up an expandable steamer basket to keep the vegetables out of the water. When steaming, the vegetables should not come in direct contact with the water, instead, the simmering water vaporizes and turns into steam. The moisture and heat from the steam cooks the vegetables. I prefer to steam vegetables, because steaming helps retain the nutrients, unlike boiling where the nutrients can be tossed out with the water. Check out my tutorial on How to Steam Broccoli where I show you how to steam broccoli with a steamer basket, without a steamer basket, and even in the microwave! 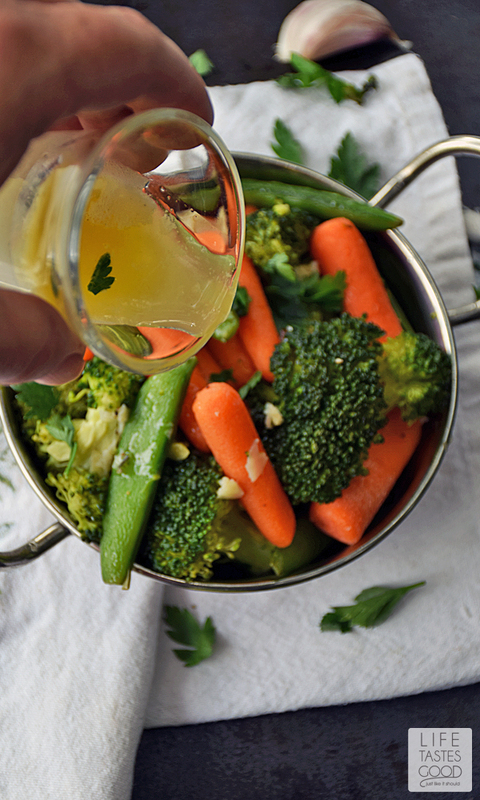 I hope you enjoy this Steamed Vegetables Recipe with Garlic Butter Sauce as much as we do! Enjoy! Add about 2 inches of water in a saucepan. You don't want the water to touch the steamer basket. Set the pan over medium heat to bring it to a simmer. While the water is heating up, Wash the vegetables as needed. Remove stems from the broccoli so you only have the florets. Chop florets so they aren't too large and place the florets into the steamer basket. Add 1 cup of baby carrots and 1 cup of sugar snap peas. Place the steamer basket over the saucepan and cover. The water in the saucepan should be just at a simmer. Reduce heat if needed. Steam the vegetables for about 8 minutes or until the are done to your liking. 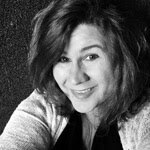 I like them just as they start to soften, but still have a little crispness to them. 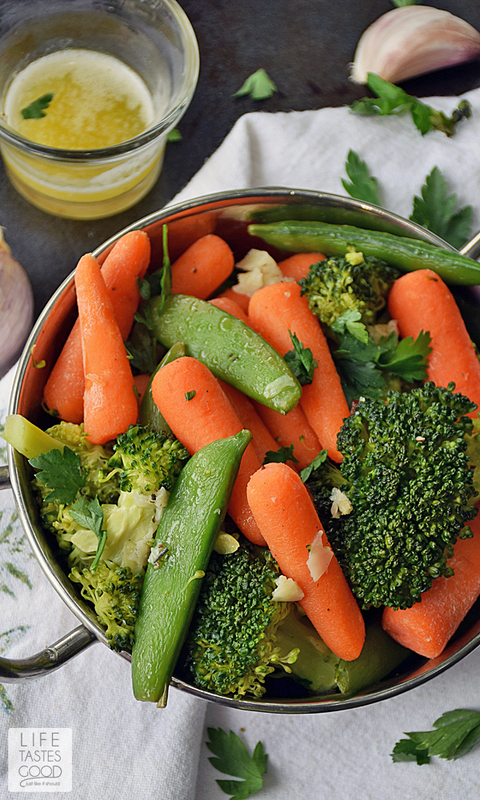 When done to your liking, remove the vegetables to a serving bowl and set aside while you make the garlic butter. Pour out the water in the saucepan and place the saucepan over mid-low heat. Melt 4 tablespoons butter and saute 1 tablespoon freshly minced garlic until fragrant. About a minute. Add about a 1/2 teaspoon of salt and a 1/4 teaspoon of pepper and stir to combine. Give it a taste and adjust the seasoning as needed. Drizzle the garlic butter over the vegetables and enjoy!